IRS Free File. Use IRS Free File to prepare and e-file your federal tax return at no cost. Free File will do much of the work for you with brand-name tax software or Fillable Forms. If you still need to file your 2015 tax return, Free File is available through Oct. 17. The only way to use IRS Free File is through IRS.gov. Where’s My Refund? Checking the status of your tax refund is easy with Where's My Refund? You can also use this tool with the IRS2Go mobile app. Direct Pay. Use IRS Direct Pay to pay your taxes or pay your estimated tax directly from your checking or savings account. Direct Pay is safe, easy and free. This tool walks you through five simple steps to pay your tax in a single online session. You can also use Direct Pay with the IRS2Go mobile app. Online Payment Agreement. If you can’t pay your taxes in full, apply for an Online Payment Agreement. The Direct Debit payment plan option is a lower-cost, hassle-free way to make monthly payments. Withholding Calculator. Did you get a larger refund or owe more tax than you expected the last time you filed taxes? 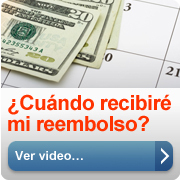 If so, you may want to change the amount of tax withheld from your paycheck. The Withholding Calculator tool can help you determine if you need to give your employer a new Form W-4, Employee's Withholding Allowance Certificate and provide information that will help you fill out the form too. Give the new Form W-4 to your employer to make the change. Interactive Tax Assistant. The ITA tool is a tax-law resource that takes you through a series of questions and provides you with responses to tax law questions. For instance, you can find out if you may need to make an individual shared responsibility payment or if you are eligible for an exemption, when you file your taxes. You can also use the tool to find out if you may be eligible for the premium tax credit. IRS Select Check. If you want to deduct your gift to charity, donate to a qualified organization. Use the IRS Select Check tool to see if a charity is qualified. Tax Map. The IRS Tax Map offers tax law information by subject. It integrates web links, tax forms, instructions and publications related to your topic into one search result.